As Director, Program Delivery with the Federal Economic Development Initiative for Northern Ontario (FedNor) in Sudbury, Lucie Perreault works to ensure that northern Ontario communities benefit fully from Government of Canada efforts in the region. Lucie also served as the Director of Policy and Corporate Services at FedNor. 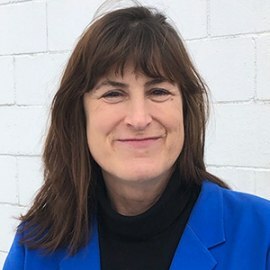 As part of her current role, Lucie is leading the development of the Prosperity and Growth Strategy for northern Ontario, an economic road map that will help guide federal government investments and activities in the region, with the specific intention of strengthening and diversifying the economic base of the region’s communities. For the past seven years, Lucie has been the champion of official languages for the federal government in northern Ontario. Prior to joining the federal civil service, Lucie served as directrice des finances au Collège Boréal in Sudbury, a key member of the leadership team at the only French-language college in northern Ontario. Lucie has a Masters in Business Administration from Laurentian University and is a Certified Professional Accountant.